Celebrate New Year’s Eve in New Orleans aboard the Paddlewheeler Creole Queen! Ring in the New Year with a front row seat to the fireworks extravaganza over the Mississippi River. Enjoy a variety of scrumptious hors d'oeuvres, a tasty buffet, and call-brand drinks at the open bar. Dance your way into 2019 as live bands play an assortment of musical styles on each of our three levels. Toast the New Year with Champagne and festive party favors. 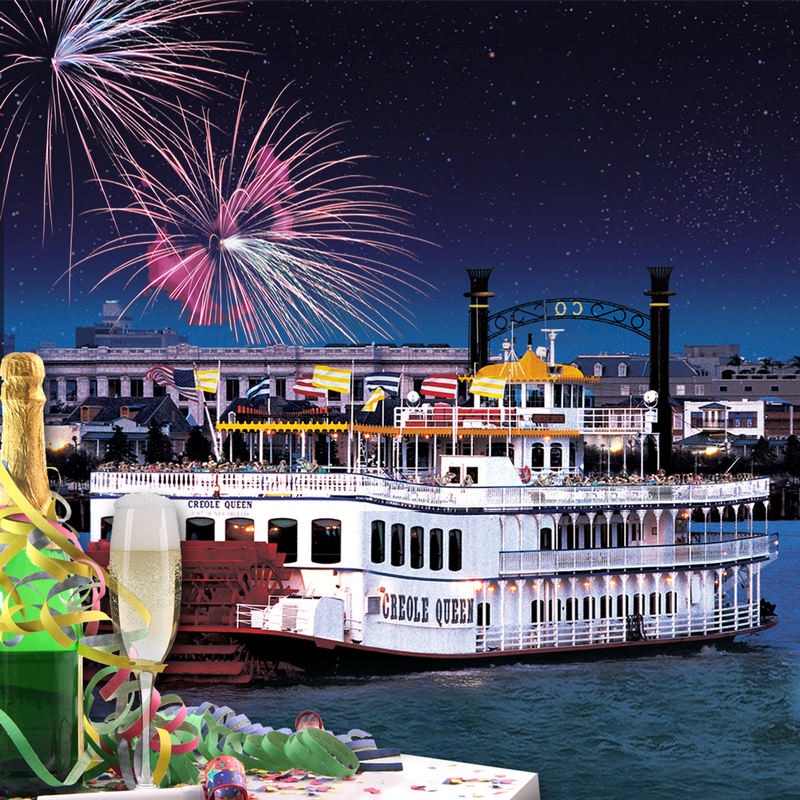 Experience New Year’s Eve like never before on the Paddlewheeler Creole Queen in New Orleans! Guests purchasing tour, cruises or tickets will not receive a paper ticket. After finishing your transaction, print out your receipt/confirmation email as your ticket for the tour, cruise or limo reservation.